Spring has sprung. The weather is getting nicer. Time for a new pair of sunglasses? It was time for me. Even though sunglasses are not a regular topic of our lighting blog, I felt that my recent experience picking out new sunglasses warranted this post. I was disappointed at the number of myths about sunglasses that were told to me by multiple, yes, multiple, supposedly knowledgeable sales people. So, I figured that it might prove useful to others if I shared my experience and busted these myths with this sunglasses buying guide. Fact: The sun’s ultraviolet (UV) rays can do several very bad things to your eyes and the area around your eyes: harm the lens, retina, and whites of your eyes, cause corneal sunburn and blisters, increase your chances of getting cataracts, have been linked to macular degeneration (vision loss due to damage due to a small spot near the center of the retina called the macula), cause skin cancer around your eyes including your eyelids, and help cause unwanted wrinkles and skin thickening around your eyes. WOW! There’s a lot more but it would take more than this short response to get even more technical. I visited a small boutique optometry store and spoke to someone with 40 years of experience. He told me that if a pair of sunglasses has glass lenses, then they remove all UV radiation. Not true. Fact: Glass of almost any kind (building windows, car windows, a pair of clear glasses) can remove some but not all of the UV radiation that reaches your eye. Ultraviolet (UV) radiation is made up of three segments: UVA, UVB, and UVC. Fortunately for all of us UVC radiation is blocked by the earth’s atmosphere, ordinary glass blocks out UVB radiation (the main sunburn ray that causes skin cancer and sun damage) but allows UVA to pass right through (UVA rays penetrate the skin more deeply and can also cause skin cancer, wrinkles, and premature skin aging). However, it is possible to add a special UV-blocking film to ordinary glass or use specially formulated glass (or plastic) to block out 99.9% of UVB and UVA radiation. Two representatives in the optical department of a national chain of retail stores told me that if a pair of sunglasses has polarized lenses, then they also provide UV protection. Not true. Fact: These two features of sunglasses are entirely different from one another; one feature does not imply the presence of the other feature. Polarized lenses minimize direct and indirect glare from the sun; they allow you to see more clearly when the sun’s rays are reflected off flat, smooth surfaces like water, road pavement, and car hoods. Polarized lenses are not designed to reduce the ultraviolet radiation that reaches your eye. Fact: This is not always true. Relatively inexpensive sunglasses can sometimes block 99%-100% of UV radiation but they are not easy to find. However, you should be careful about still another problem – inexpensive sunglasses sometimes are non-uniform in thickness and have poor optical quality. This can mean that they sometimes distort the shape or clarity of an object, depending on what portion of the lenses that you look through. Many people think that the tint of the sunglass lenses is not that important. That it is purely an aesthetic decision based on your personal preferences and the “cool factor” you’re looking for. Fact: The tint or hue of the sunglass lenses plays an important role in the perception of colors. Yellow or rose tinted lenses generally can make it difficult to distinguish different colored traffic lights. Gray, green, and brown lenses, however, minimize color distortion and are a better choice when you’re driving a vehicle. Some specialized sunglasses can have a special tint that are designed to enhance your performance of a specific task or sport; e.g., at least one sunglasses manufacturer has created a whole array of lens hues, one of which can possibly improve your tennis game by enhancing the color of the tennis ball. Most people choose the size of their sunglasses on whether or not they think they look “cool.” Thus, they think that size is not important. Enjoy your spring and summer and enjoy your new sunglasses. Tom Farin is the founder of Pegasus Lighting. Dr. Farin has been in the field of lighting since 1987. He has extensive training and experience in lighting, physics, mathematics and education, acquired at the undergraduate level, in graduate school, and in the field. 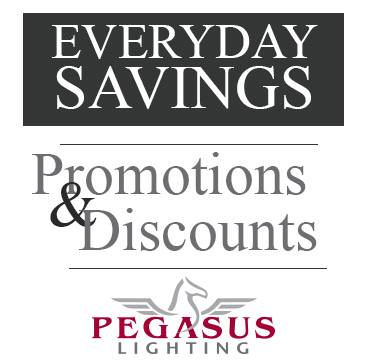 It is Dr. Farin's interest and expertise in education that has driven the overall design of the www.PegasusLighting.com site - with its heavy emphasis on lighting terminology, lighting techniques, and thorough information on each lighting product. If I were you, I would consult with an optometrist, your favorite golf pro, and also look at Bolle’ sunglasses. I am told that Bolle’ sunglasses make a pair of glasses whose lenses can be changed depending on what you are doing and that one hue of tinted lenses are specifically designed to enhance the color of a golf ball. I cannot comment on the accuracy of that marketing statement by Bolle’ but it’s worth checking it out yourself. summmer,you can’t miss some hot sunglasses. in a fashion stock market takes patience and a willingness to take on risk. But, should you allow a robot to handle your investing? Some say you should.